Social functioning (SF) is the ultimate target aimed in treatment plans in schizophrenia, thus it is critical to know what are the factors that determine SF. Gender is a well-established variable influencing SF, yet it is not known how social variables and symptoms interact in schizophrenia patients. Furthermore, it remains unclear whether the interaction between social variables and symptoms is different in men compared to women. Our aim is to test whether social variables are better predictors of SF in community-dwelled individuals with schizophrenia, and whether men and women differ in how symptoms and social variables interact to impact SF. Community-dwelling individuals with schizophrenia (N = 231) were randomly selected from a register. Participants were assessed with symptom measures (PANSS), performance-based social scale (LSP), objective social and demographic variables. Stratification by gender and stepwise multivariate regression analyses by gender were used to find the best-fitting models that predict SF in both gender. Men had poorer SF than women in spite of showing similar symptom scores. On stepwise regression analyses, gender was the main variable explaining SF, with a significant contribution by disorganized and excitatory symptoms. Age of onset made a less marked, yet significant, contribution to explain SF. When the sample was stratified by gender, disorganized symptoms and ‘Income’ variable entered the model and accounted for a 30.8% of the SF variance in women. On the other hand, positive and disorganized symptoms entered the model and accounted for a 36.1% of the SF variance in men. Community-dwelling men and women with schizophrenia differ in the constellation of variables associated with SF. Symptom scores still account for most of the variance in SF in both genders. We are thankfully indebted to patients and families who participated in the study as well as mental health staff who assisted us in this study. This project has received the financial help of the Spanish Fondo de Investigaciones Sanitarias (FIS 97/1275) and the Spanish Health Services Research Network RIRAG (G03/061) (Red de Investigacion de Resultados Aplicados a la Gestion en Discapacidad y Salud Mental). This project is supported by CIBER Salud Mental (Instituto de Salud Carlos III). None of the authors have any conflict of interest regarding the present research. Leifker FR, Patterson TL, Heaton RK, et al. : Validating measures of real-world outcome: The results of the VALERO Expert Survey and RAND Panel. Schizophrenia Bulletin, 2009. Ahead of print. doi: 10.1093/schbul/sbp044. Bowie CR, Depp C, McGrath JA, et al. 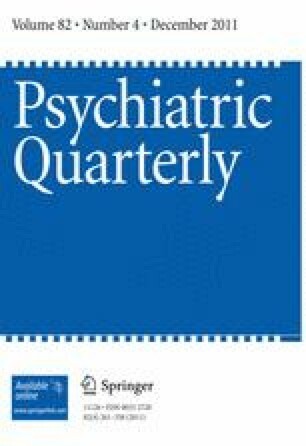 : Prediction of real-world functional disability in chronic mental disorders: A comparison of schizophrenia and bipolar disorder. The American Journal of Psychiatry, 2010. Ahead of print. doi: 10.1176/appi.ajp.2010.09101406.